Do Muslim communities provide safe spaces for youth who are asking difficult and controversial questions? Although Muslims comprise an estimated one percent of this country’s population, they have occupied a far greater percentage of recent political debates, now that the presidential campaign season is in full swing. As they struggle to deal with the post-9/11 fears inflamed by the Paris and San Bernardino attacks, they also wrestle with significant internal issues, one of which is how best to bridge existing religious literacy gaps among their youth nationwide. An Institute for Social Policy and Understanding (ISPU) convening help on June 6-7 2015 in Washington, DC, brought together 31 Muslim American experts and stakeholders, aged 18 to 68, on the state of the community’s youth, the problems facing them as they navigate adolescence and the fact that these problems are compounded because of their lack of any profound knowledge on key aspects of Islam. The meeting identified the following key aspects: 1) a broader understanding of the Islamic tradition beyond doctrine, rituals and practices; 2) the interpretive pluralism that is characteristic of Islamic legal thought and jurisprudence; 3) theology; 4) Islamic history, including the emergence of sects and orientations; and 5) questions related to the legal doctrines of jihad, gender, and sexual orientation. All of this stems from a broader concern, that of developing a wholesome, confident and intellectually honest identity among Muslim American youth. When religious education is taught through the narrow lens of doctrine and ritual, a host of problems ensue. For one, youth cannot appreciate the rich and complex processes underlying the tradition’s legal, cultural and historical development. An understanding of these internal processes would cultivate within them the flexibility and ingenuity necessary for responding to their changing environments in a way that is connected to their own tradition. Second, there is a complete non-awareness of the diversity and pluralism that has existed within Islam for centuries. This is not simply a diversity of sects, although that too is important, but one of thought within scholastic disciplines, of the cultural variations of Islamic practices and of historical contexts that have impacted the development of Muslim communities worldwide. Such non-awareness creates rigid polarities among our youth, which can potentially exacerbate extremist inclinations or a crisis of identity. The ensuing ISPU report identified several ways to overcome these problems: (1) enhance and broaden existing religious educational resources; (2) create new educational resources and programs that are comprehensive and relevant to the youth’s contexts; and (3) introduce pedagogical practices that embrace critical thinking, engaged learning and emotional intelligence. ISPU’s findings are related to the broader national context. According to Pew Research Center’s 2014 Religious Landscape Study, one in five Americans are religiously unaffiliated, or “nones.” Further, one in three Millennials claims no religious affiliation. As more of them become adults, the number of “nones” continues to increase. Muslim Americans are not immune to this trend. Nonetheless, with the increasing politicization of Islam in the public discourse, many Muslim youth are turning to religious education to come to terms with their own questions about their religious identity. This event highlighted the need to create safe spaces for youth in our communities, to welcome their difficult and controversial questions instead of shunning them. Our youth need these safe spaces to fully explore topics that are important to them from multiple angles: religious doctrine, history, secularism, politics, gender and race. By adopting a cross-sectional approach to questions of religion, Muslim educational programs can be made more relevant to their members. While the Pew Research Center found that a growing number of Americans do not affiliate with a religion, substantial numbers still believe in God or a universal spirit. Similarly, ISPU’s convening on Muslim youth also emphasized the need for programs to embrace spirituality and eschew exclusivity. More specifically, it recommends that Muslim communities create experiential learning opportunities for their youth. In a departure from traditional pedagogy and curricula-based learning, these broad-based programs would focus on promoting identity development, empowerment, spirituality, and confidence-building. Muslim American youth find themselves at the intersection of many volatile challenges facing this country: race and violence, immigration and politics, Islamophobia and racism, and religion and extremism. 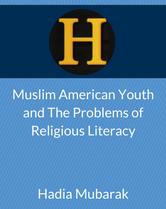 By cultivating a confident and integrated identity that is authentically rooted in one’s religious tradition, Muslim American youth can confidently navigate the increasingly difficult challenges of being Muslim in America. Educational programs that succeed in building a healthy sense of identity serve as a powerful buffer to extremism, marginalization and fear. This article originally appeared in the May/June 2016 issue of Islamic Horizons.